The primary limiting factor in the project reach was identified to be a lack of in-channel structure that has led to accelerated bedload transport through the reach, resulting in exposure of bedrock along much of the channel. Introduction of large wood and removal of a hydraulic constrictions associated with a historic bridge crossing was determined to be the highest priority action. 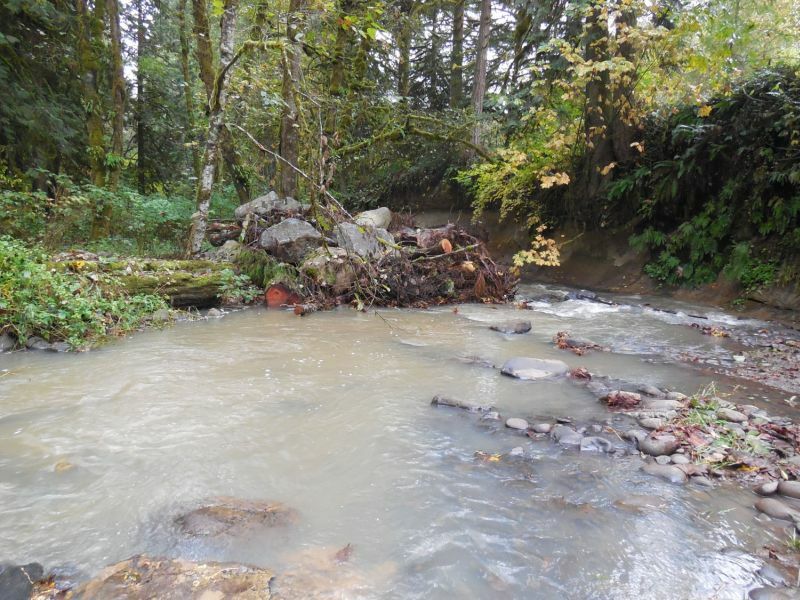 Following selection of a preferred set of restoration actions, Waterways prepared engineering drawings to remove the historic crossing, enhance floodplain connectivity, and install log jams throughout the project reach. 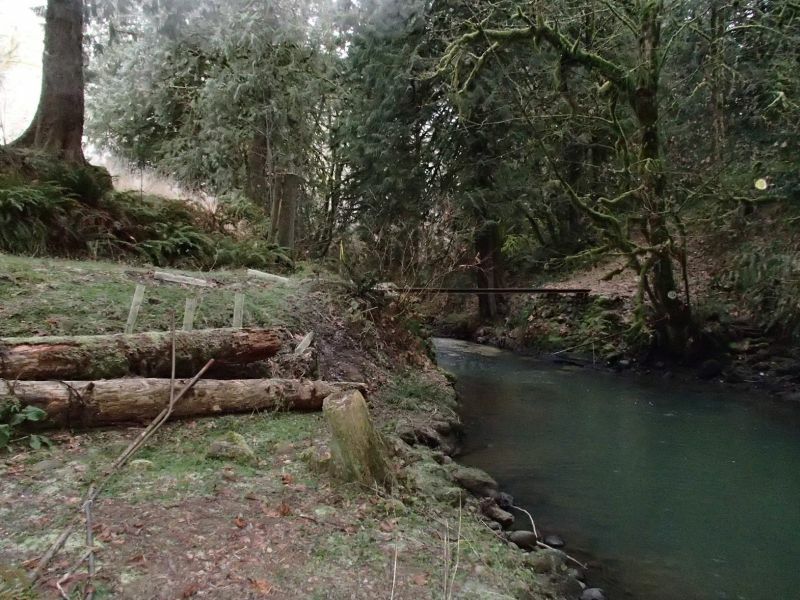 Two types of log jams were installed based on site access constraints. 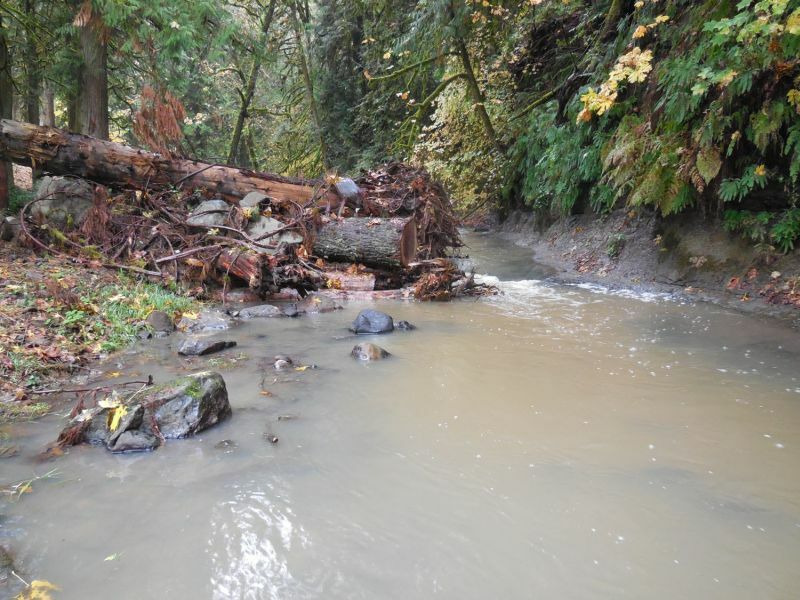 Where access was poor, logging equipment was used to fell entire trees into the channel from the adjacent dense forest. 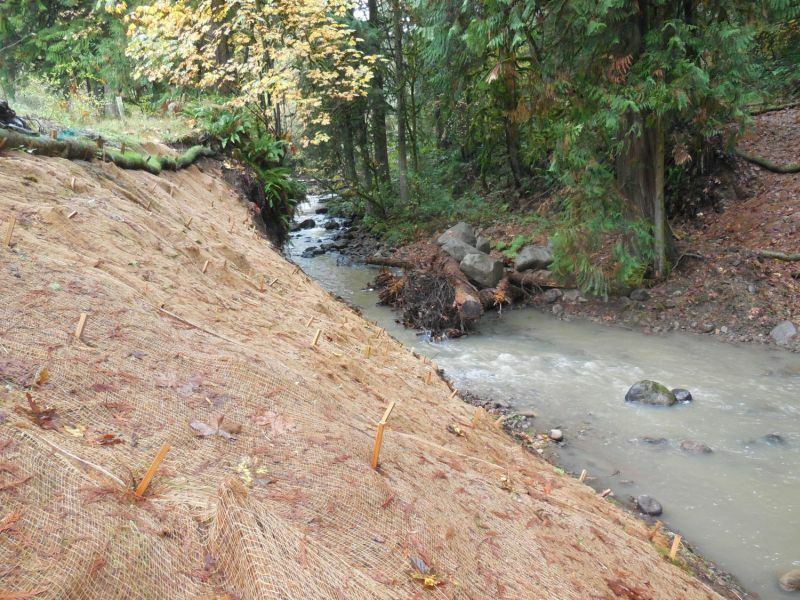 A total of eight log jams were constructed through the project reach.